When I was a child I would spend a lot of my summers at my grandparent’s cottage just outside of Wasaga Beach. My memories spent there were filled with long walks on the beach to the ice-cream parlour, movie nights while listening to thunderstorms roll past and pouring through my grandma’s decor magazines. My grandma was a public speaker and absolutely loved decorating, especially with antiques. I see a lot of myself in her. My grandma always gave each room to her cottage a very country flair. In-fact she had a very impressive chicken and rooster collection. 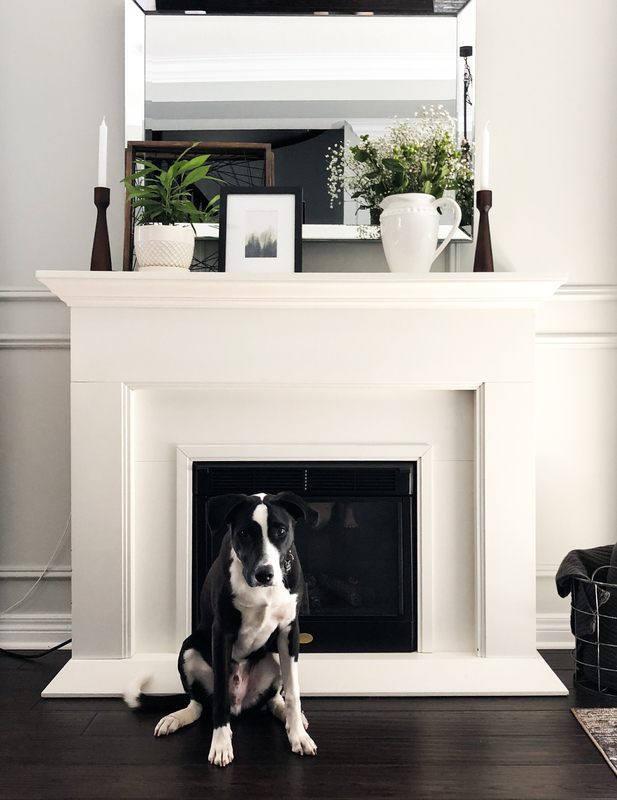 Although I absolutely love adding early century modern, eclectic and sometimes classic elements to my home, my heart is always drawn back to a country-cottage feel. 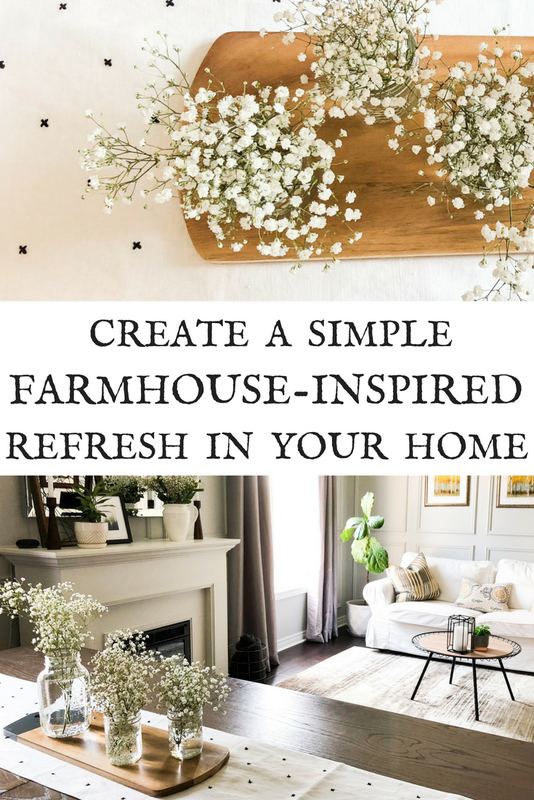 Although farmhouse decor and design is very nostalgic to me, there is something about it that is extremely relaxing. Recently I was finding that every time I walked through our hallway and glanced at our living room/dining room, I would shudder. Our dining room table had become a dumping ground and the small plant on our fireplace mantle was dying a slow death. 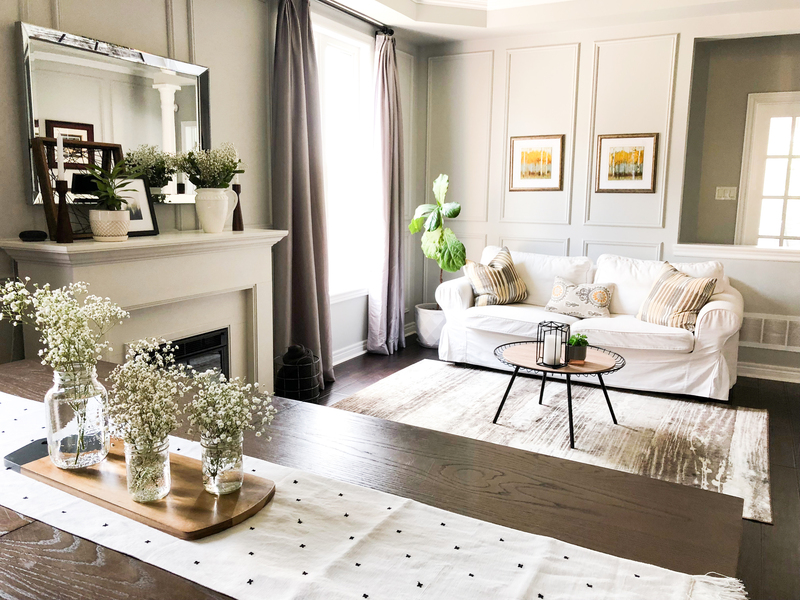 I finally decided to give this room a quick refresh which would include a farmhouse flair. I dug up old mason jars and pulled out the Hearth and Hand runner I bought at Target while on my recent trip in California. 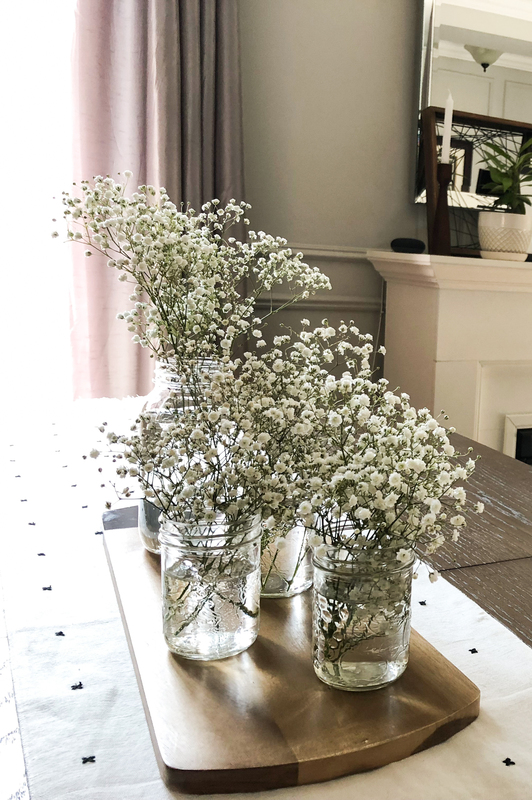 A couple hours and a bundle of babies’ breath later, (which in my opinion is a very underrated flower), my room was not only transformed, but it now reflects the warm weather outside and is oh so airy and inviting. 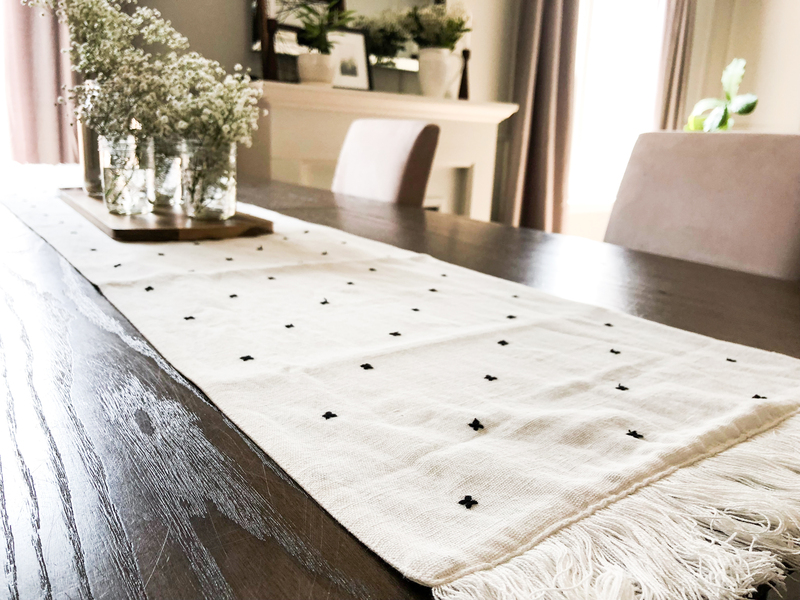 Watch as I transform this room and share a couple tips on how to simply give your home a seasonal refresh. 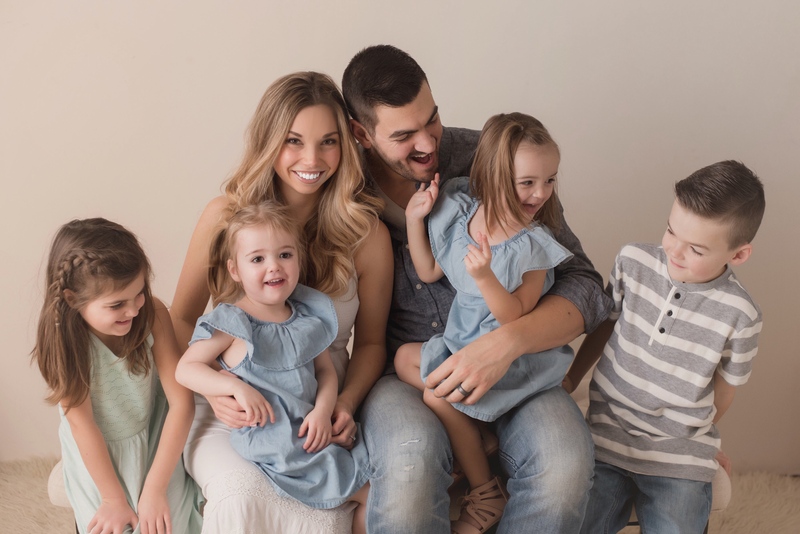 Next Next post: Am I the only one experiencing moody kids as they approach Kindergarten?